Traditional, round circus tents influenced the design of this performance and educational facility for the circus arts, designed by US studio Höweler + Yoon Architecture. Intended to be built in Portland, Maine, the Circus Conservatory building will house America's first accredited degree programme in circus arts. The facility will be the main tenant on a peninsula slated for development. "The new site plan will transform an undeveloped section of Portland into a vibrant artistic centre, complete with public performance venues and recreational facilities," said Höweler + Yoon, a Boston-based studio. 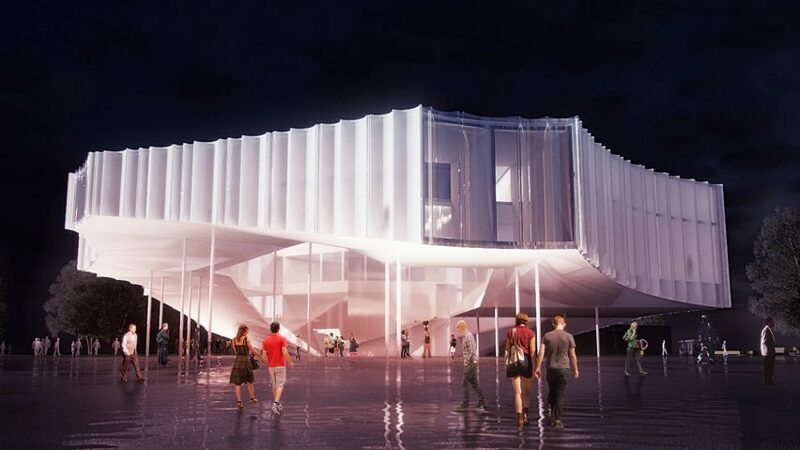 The project is being designed in collaboration with the Slovenian firm OFIS Arhitekti. The hybrid facility will house performance and educational spaces. 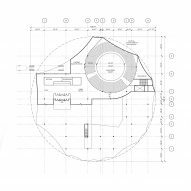 Renderings show a white, diaphanous building that is roughly circular in plan. A portion of the sculptural building is elevated off the ground by tall, slender columns. Its centre is carved away, resulting in a light-filled plaza that can serve as a performance area. 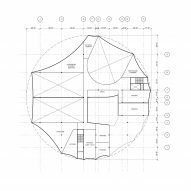 The architects were influenced by traditional circus facilities, like the large striped tents known as big tops, while conceiving the design. 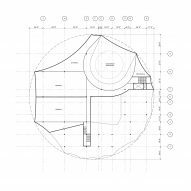 "Historically, the circus floor was shaped by the radius of a walking horse on a tether, defining a circle with a radial audience, creating a culture of multi-directional performances, which persists today in contemporary circus and theatre," the team said. 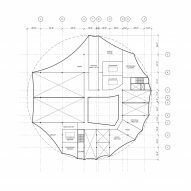 The design of the new facility employs this radial viewing strategy in order to "engage with the public, the city, the landscape and each other". "The introduction of educational programs into the circus typology challenges the viewing relationships critical to circus and academic settings," the team added. On the ground level, visitors will pass below the elevated portion of the building and enter into the lobby, which leads to the main auditorium. 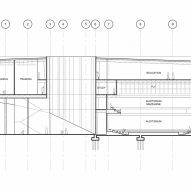 On the upper floors, the architects have conceived a "continuous, interactive loop" that houses classrooms, practice rooms, a library, a media centre and administrative space. The loop "oscillates between training, group studying, socialising and private practising". The top floor will contain large, acrobatic training halls with glazed walls that offer views of the Fore River. Circus schools elsewhere in the world include an expanded training centre in France designed by Caractère Spécial and NP2F Architectes, which features a dramatic, curving concrete staircase that protrudes from the building.